This report from the Internal Audit Foundation highlights the increasing importance of implementing a comprehensive anti-bribery program in today’s marketplace to combat corruption. It discusses internal audit’s role in evaluating the design, implementation, and effectiveness of the organization’s anti-bribery program. 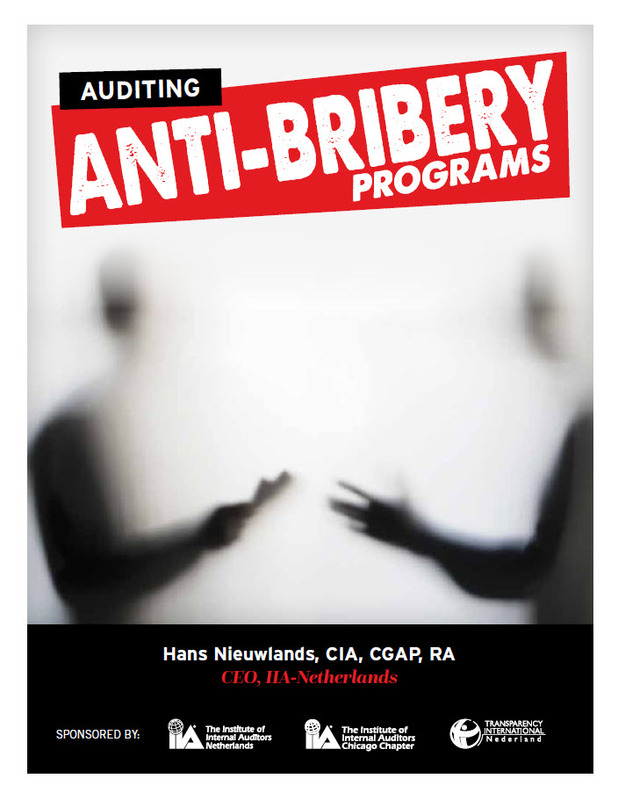 It supports practitioners’ efforts to take a proactive role in anti-bribery initiatives by outlining the elements of a structured anti-bribery program and providing a “how-to” approach for auditing anti-bribery measures.